U.S. Vice-President Harry Truman assumed the office of President upon the death of Franklin D. Roosevelt in 1945, and won re-election in 1948, serving as U.S. President from May, 1945 through January, 1953. A Douglas C-54 Skymaster was the first purpose-built U.S. Presidential aircraft. 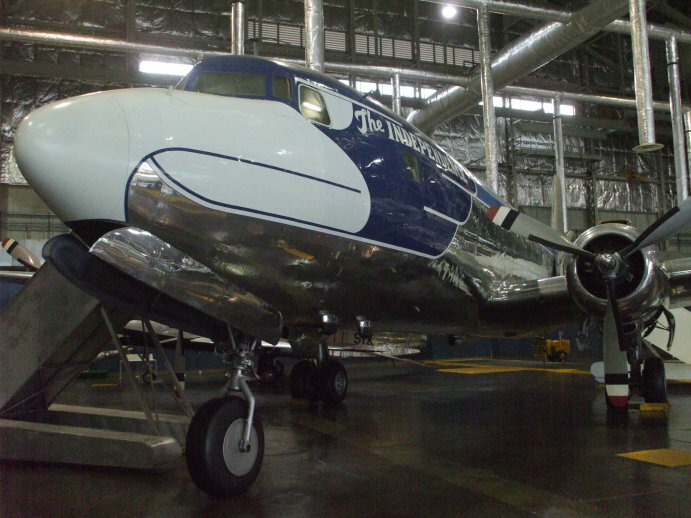 This four-engined transport was introduced in 1942, derived from the civilian DC-4. In 1944, a C-54A was converted to a Presidential transport version for Roosevelt. It came to be known as the Sacred Cow. Truman also used the Sacred Cow, signing the National Security Act of 1947 on board it and creating the U.S. Air Force. Soon after that, a new Presidential transport was completed. 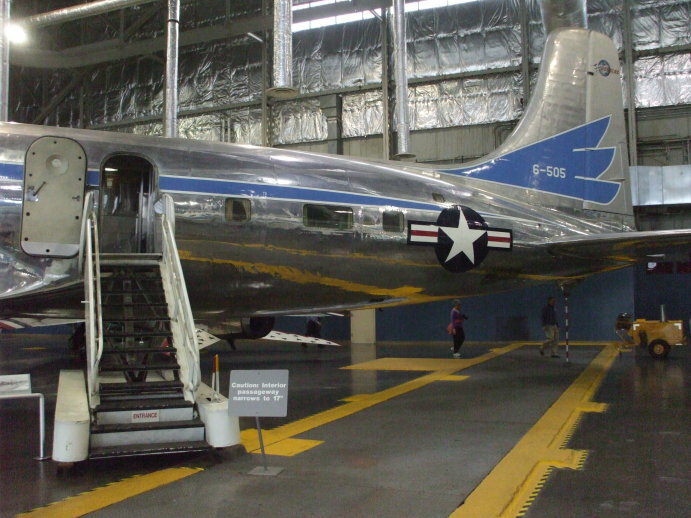 Truman's new transport had the military designation of a VC-118, a VIP transport conversion of a C-118, which was the military designation for a Douglas DC-6. That was the most advanced airliner available at the time. The newly created USAF commissioned the aircraft on July 4, 1947. 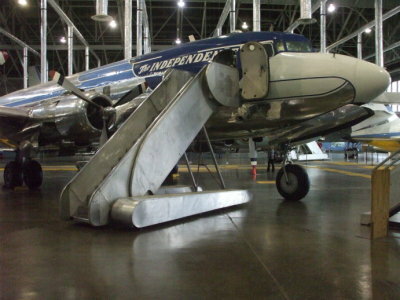 Douglas Aircraft had begun building the plane for American Airlines. The airline agreed to give it up before the interior was completed. The Presidential unit had a distinctive eagle decorative motif. American Airlines had originally rejected the design, but the U.S. Air Force like the idea of the national bird on the national leader's aircraft. The name Independence was coined by Presidential pilot Lieutenant Colonel Henry Myers, who also flew the Sacred Cow, to reference both patriotism and Truman's hometown in Missouri. This VC-118 flew in Presidential service for nearly six years, from 1947 through 1953. One of its most notable flights was in October 1950, when it carried President Truman to Wake Island, northwest of Hawaii in the Pacific Ocean. Truman met there with General Douglas MacArthur. It had four Pratt and Whitney R-2800 engines with 2,400 horsepower each. They provided a maximum speed of 360 mph, a range of 4,400 miles, and a ceiling of 31,200 feet. After its Presidential service ended in 1953, this aircraft continued as a VIP transport until 1965. It was then retired to the National Museum of the U.S. Air Force at Wright-Patterson Air Force Base outside Dayton, Ohio. The VIP cabin was at the rear of the fuselage, behind the rear entry door. 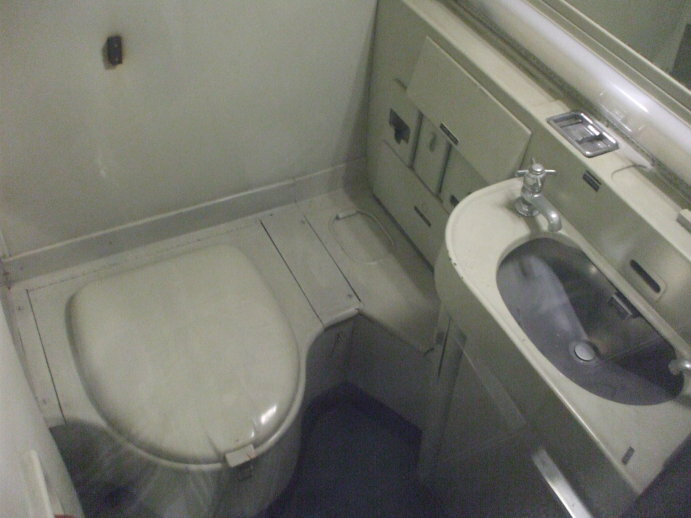 The private Presidential lavatory is shown here. It's on the right side of the fuselage. 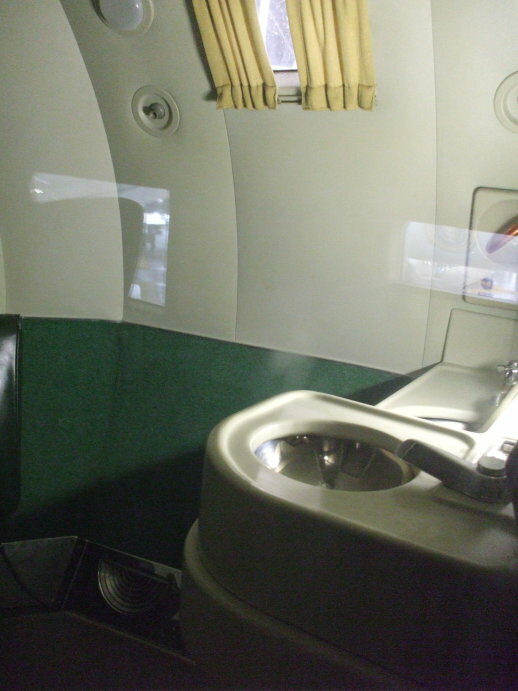 A washbasin is on the opposite side of the fuselage in the VIP cabin. The small window is the rearmost one, visible in the above picture of the exterior of the rear of the fuselage. The forward section of the fuselage contains meeting areas, seats for staff, and even bunks for overnight trips. 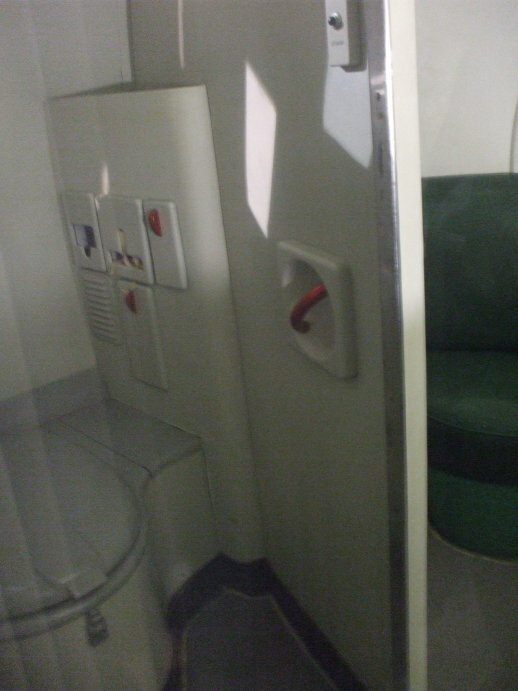 It also includes this general use lavatory for his staff and the aircraft crew.